The 2018 TRB Annual Meeting hosted its first Strategic War Game, and a video has been released to summarize this year’s event. War games are fast-paced simulations involving teams that represent a market or customer, a set of competitors, and a series of other uncontrollable factors or entities. 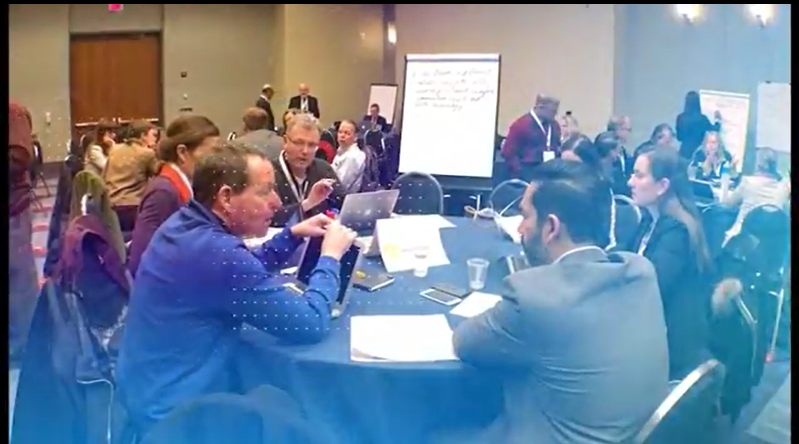 Amanda Johnson, student researcher for Traffic21 participated in this year’s event, saying it was “…a real fast paced high intensity exciting brainstorming opportunity that generated new and exciting ideas.” Click here to view the video: Video: Strategic War Games at the 2018 TRB Annual Meeting.